Profile Anat Zaidman-Zait is an Associate Professor in the Department of School Counseling and Special Education at the Constantiner School of Education, Tel-Aviv University. She is also an Affiliated Assistance Professor, School of Population and Public Health (SPHH), Faculty of Medicine, University of British Columbia, Canada. Research interest Dr. Zaidman-Zait’s research focus on the determinants of parenting experiences and child and family quality of life, the examination of parenting stress and coping processes, and the interplay between parental stress, family functioning and children’s adjustment among families of children with disabilities (e.g., autism spectrum disorders, attention deficit hyperactivity disorder, and hearing impairments). 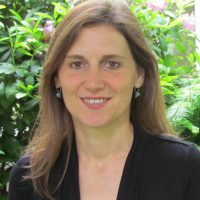 In addition, she has been exploring potential moderating and mediating mechanisms underlying the relations between family contextual factors and children’s adjustment, including both parents and children bioregulatory risk and protective factors (e.g., sleep, executive functions, and temperament).